This low-set, rendered brick & tile beauty is a great family home to brink up your little ones. The home boasts 2 tiled living areas, a central galley kitchen, and is abundant with natural light and breezes throughout. 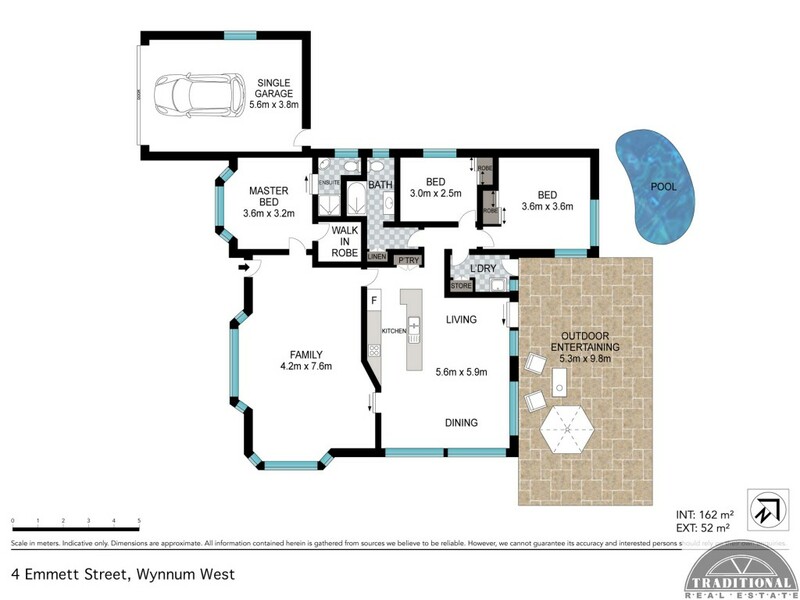 The contemporary style property is well appointed with relaxed family living in mind. Master bedroom boasting an ensuite, walk in robe and split system air-conditioning, bedroom 2 and 3 are of considerable size, both with built in's, fans and convenient to the main bathroom of the home. The kitchen and rear family room is open plan and overlooks the entertaining poolside area, lovely retained gardens with extremely low maintenance surrounds. The pool is a bit special, with rockery wall, elevated and tucked in the corner, to allow ample room for entertaining and space for the kids to play. An elevated, neat and tidy property, proudly sitting on 638m2 and conveniently located in a quiet street in the reputable Bayfields Estate, and excellent proximity to schools, shops, Manly Village, and Wynnum Foreshore. Nothing to do except unpack, unwind and enjoy your new home. Inspections are welcomed and encouraged.